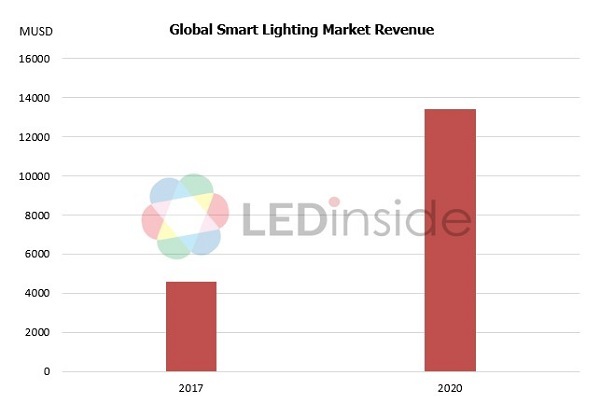 The rise of the Internet of Things has led LED lighting to networked high-value digital lighting. Smart systems can collect information of users and environment, etc., make data analysis, and then adjust devices. Personalized and human-centric smart lighting has become the focus of future industrial development. 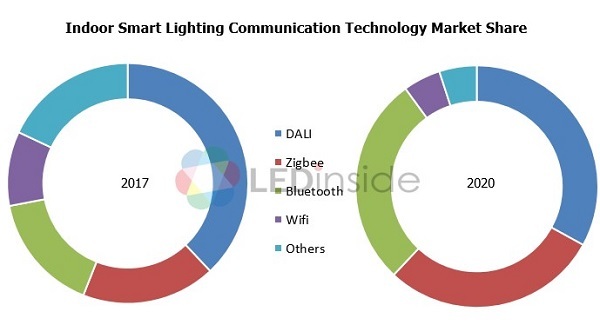 Lighting giants such as Philips and Osram have also laid the foundation in smart lighting market. In 2015, Philips Lighting participated in Los Angeles’ pilot project of connected lighting. Philips CityTouch was adopted as a smart connected lighting management platform. In 2017, City Touch flex was introduced to China. 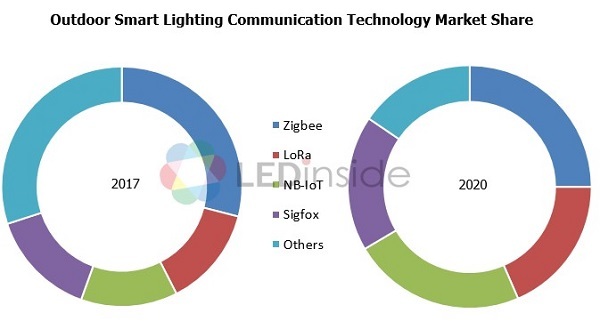 This smart connected lighting system was combined with China Telecom's next-generation NB-IoT technology and Tianyi cloud service. It can be used to access various types of smart city applications including urban emergency system, traffic signal management system, security monitoring system, etc., jointly accelerating the construction of smart cities in China. With the rise of the Internet of Things, Low-Power Wide Area Network (LPWAN) has appeared for IoT applications with low bandwidth, low power consumption, long distance and large numbers of connections. Mainstream examples include NB-IoT using licensed spectrum, LoRa (Long Range) and Sigfox using unlicensed spectrum, etc. LPWAN's capability of long-range communication enables large-scale IoT deployments and avoids frequent battery replacement, lowering the maintenance costs.